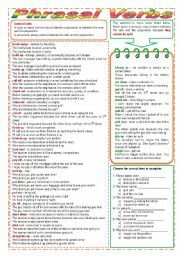 A worksheet with a short text taken from Wikipedia (source given under the worksheet title), with 4 tasks reading comprehension and grammar [-ing form after prepositions], with the keys on the second page. It’s totally editable / correctable. Hope it’s useful. Thanks for downloading and have a nice day! 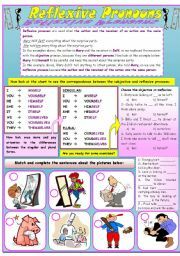 Third ws of the series, suitable for advanced or high intermediate students. 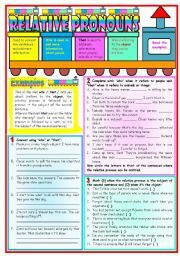 My ss have some difficulties using conditionals so I always prepare new wss on the topic. Hope it´s useful. Thanks for downloading it. 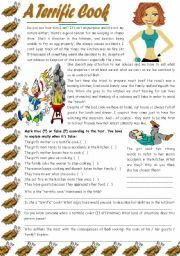 This worksheet deals with the relative pronouns who and that, with a grammar guide and examples + 3 tasks to provide some practice. 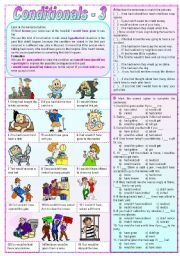 I provided the B&W version and the handout with keys for busy teachers. Graphics by myself. It’s completely editable / correctable, hope you can use it. Thanks for downloading and have a nice day! 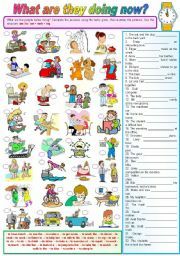 Third worksheet dealing with the modal “can”, providing practice and understanding on the use of “can” in to express possibility, with a gap-filling, a B&W version and the teacher’s handout with the keys. . It’s completely editable / correctable, hope you can use it. Thanks for downloading and have a nice day! 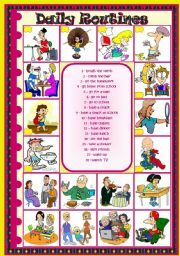 A worksheet dealing with daily routines with a matching activity to introduce or practice the topic. There’s a B&W version included. It’s completely editable / correctable, hope you can use it. Thanks for downloading and have a nice day! 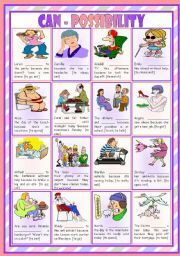 A worksheet with a short text and 8 tasks for students to understand the text and practice some grammar (-ing form after expressions with “to have”. The keys are included on the last page. 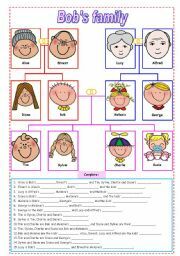 The worksheet is completely editable / correctable. Hope it’s useful. Thanks for downloading and have a nice day! Students read the rules and examples and get to work. Hope it´s useful. Thanks for downloading and have a nice day!